Riders who use their wheels for both cyclocross and gravel may find tubeless clincher wheelsets to be a cost-effective, dual-duty upgrade. Our #crossiscoming series continues with a first look at the updated Easton EA90 SL Disc tubeless clincher wheelset. Could it be the ideal set of alloy hoops to navigate the course tape this fall and the unbeaten path next spring? Easton’s EA90 SL wheelset has been one of the company’s workhorses for years, but that does not mean Easton has stood still with its design. The company has continually re-designed the alloy clincher wheelset with an eye toward how riders are using them in the real world. Last year, Easton tweaked the alloy, tubeless-ready EA90 SL Disc wheelset by adding its new Vault hub designed to increase durability and shave grams off the wheelset’s total weight. 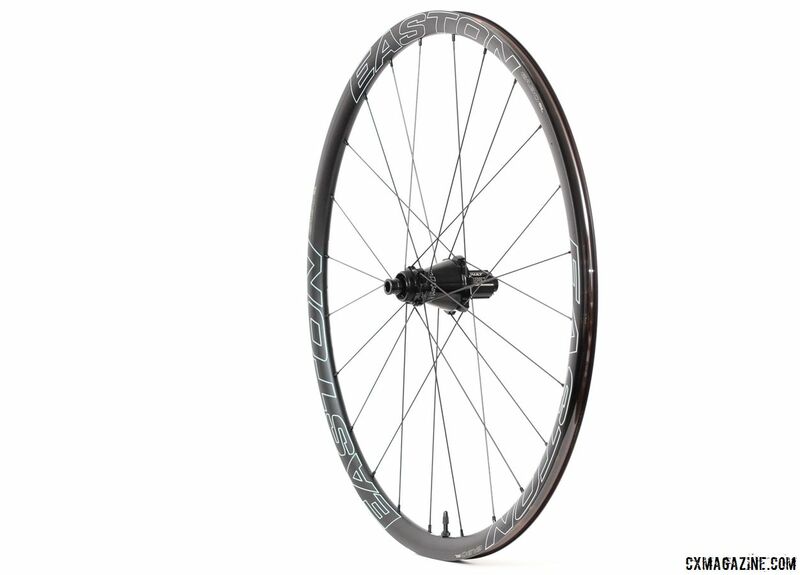 The new EA90 SL wheels have stood up to the toughest of tests, as both Amanda Nauman and Michael van den Ham ran them for the 206-mile Dirty Kanza 200. We recently received our own set of Easton’s EA90 SL Disc tubeless clinchers for review. This In Review Spotlight takes a first look at the alloy wheels with the Vault hub and offers our initial impressions after setting them up. 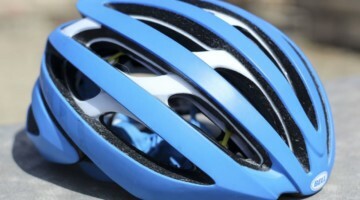 Stay tuned for a full review after we put them to the test this coming cyclocross season. 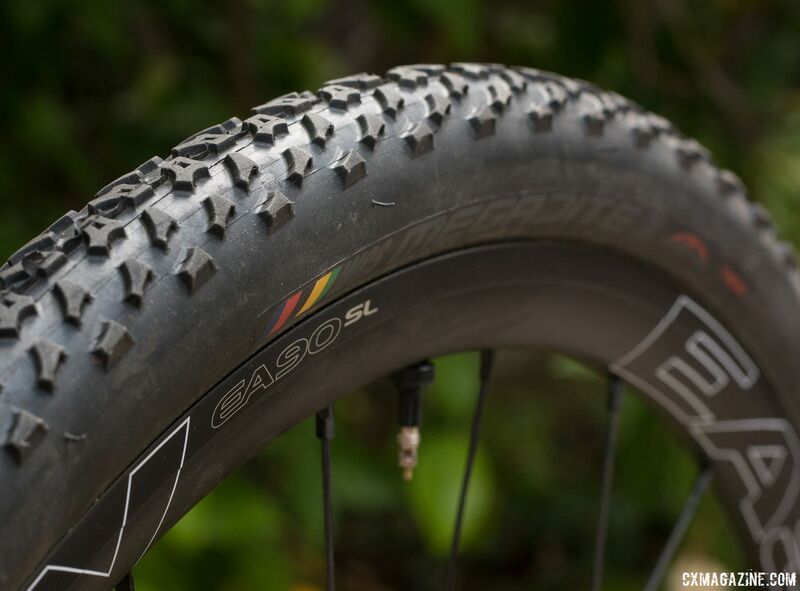 Easton constructs the EA90 SL Disc rims from its EA90 aluminum with a deep, wide center channel for tubeless setup. When we reviewed the EA90 SL Disc’s carbon cousin the EC90 SL, we noted Easton’s move toward wider rims. The EA90 SL Disc has a 19.5mm internal width and checks in at 27mm deep. 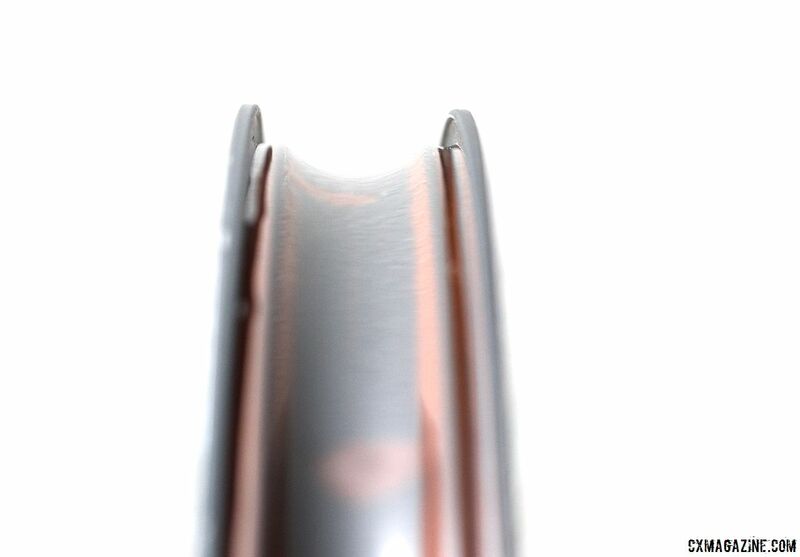 The width splits the difference between a deep-profile aero rim and shallow mountain-bike oriented design. 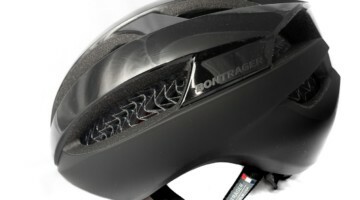 It’s a width that accommodates road, cyclocross and gravel tires. 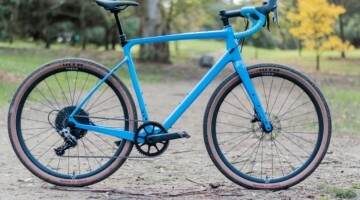 These days for just non-UCI cyclocross and gravel racing, we would probably opt for something a tad wider between 21 and 23mm, but Easton took aim at a moving target and got close to the center with this versatile width. 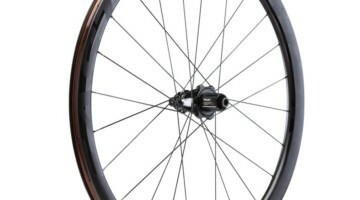 The wheelset adds some extra wind-cheating measures with bladed Sapim straight-pull spokes. The wheels have 24 front and rear laced in a 3x pattern. 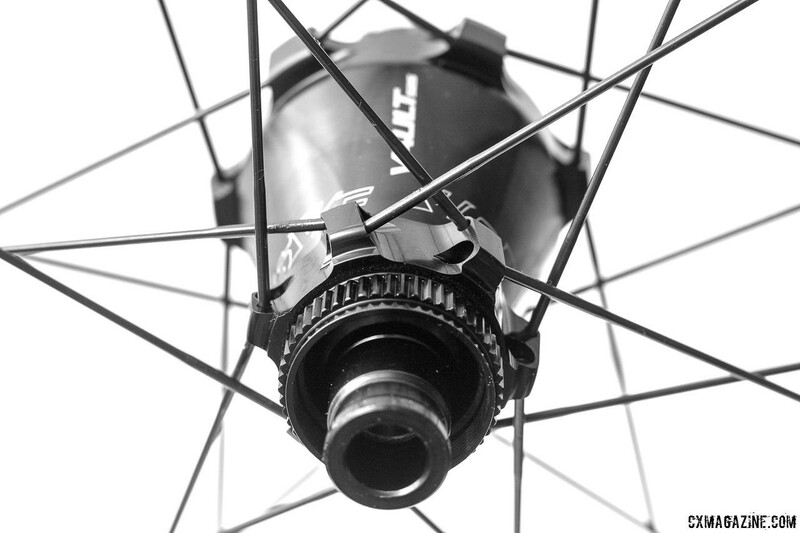 Our review wheelset is the EA90 SL Disc model, which comes with CenterLock rotor mounts. We’ve previously ridden Easton wheels with 6-bolt hubs, and some manufacturers state they can offer a wider bearing replacement, but anyone who needs to replace, remove or change rotors often will appreciate the EA90 SL’s CenterLock rotor mount, especially when boxing your bike up for Nationals. The wheels are both current and retro-friendly. Easton provides caps for quick release, 12mm or 15mm thru-axles up front and quick release and 12x142mm thru-axles out back. 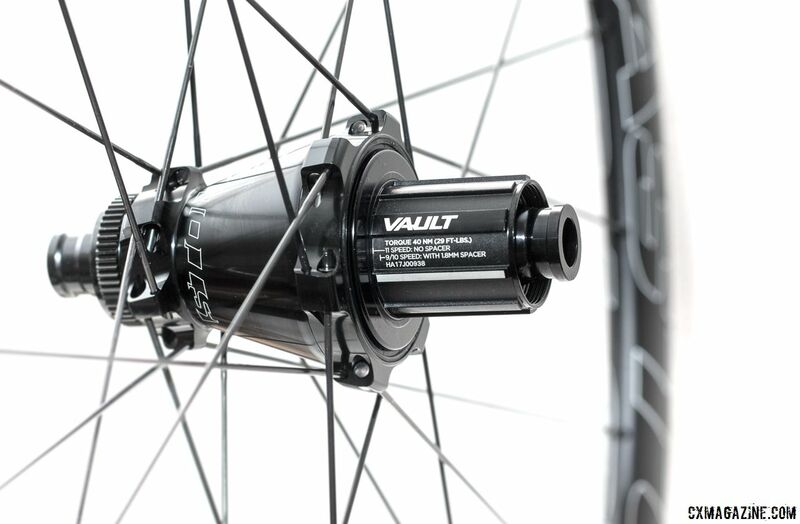 The newest addition to the EA90 SL wheelset is Easton’s Vault hub it released last year. The company claims the larger bearings and wider bearing stance of the cone-shaped hub help increase its durability, especially for gravel and ’cross riding. It also claims the new hub shaves 48 grams off its older M1 hub. A quick turn of the alloy freehub with your fingers or pedals reveals a quick-engaging 3-pawl system, based on 2 teeth per pawl that turns into 6 degrees of engagement on a 60-tooth drive ring. We measured a weight of 1,557g with tape and valves, or an estimated actual weight of 1,529g, which is rather light for a tubeless alloy wheelset. In fact, it is lighter than the 1,710g Ritchey WCS Apex 38 and 1,644g Derby CX 23i carbon wheelsets we have recently looked at. 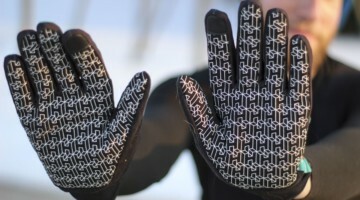 At $900, it’s certainly less expensive than carbon options too. With a deep, wide center channel, tubeless tire installation is very easy and likely won’t have you reaching for tire levers. Our first installation was with Ritchey WCS Megabite 38mm tires, which admittedly are not the tightest of tubeless clinchers. They went on without levers and seated quietly with a tubeless pump. They’ve been relatively air-tight since after a typical post-installation top-off and thanks to a small bead-retaining lip, have remain seated upon complete deflation, giving you a chance to re-air, plug or top-off with a mini-pump. Although we’ve often stated that it’s difficult to find a tubeless rim that tackles high pressure and low-pressure duties equally well, Easton’s road-oriented tubeless rims have typically been one of the better low-pressure options we’ve tried, thanks to their subtle bead-retaining lips. The EA90 SL continues this trend and has offered more burp resistance than Road Tubeless options we’ve seen from Shimano and others. Our first rides have validated this and have so far been problem-free. We’ve bottomed out without burps and folded sidewalls in turns without unseating the tire and have still found the wheels to be dent free, round and true. While we don’t expect to break a spoke, it’s nice to know that Easton has included five extra spokes with each pair, and thankfully, the wheels use only one spoke length! 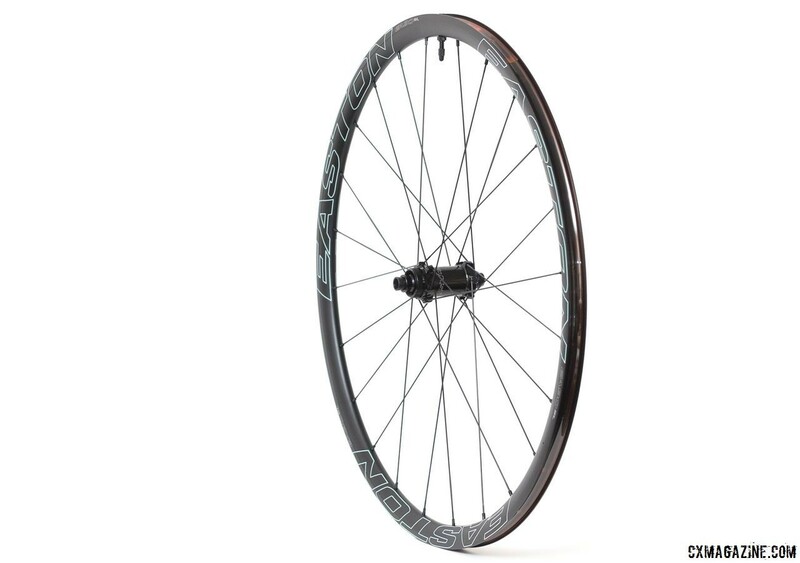 Stay tuned as we roll into cyclocross season to put the EA90 SL Disc wheels to the test. For more, see the specs and photo gallery below. Andrew Yee and Zachary Schuster contributed to this report.